I know, I know. This is a cupcake blog. However, I'm taking a break from the norm for a coworker's birthday and decided to share it with you. If it makes you feel any better, this cake could very easily be turned into a cupcake! Whew! Now you're relieved. I'd hate to let my awesome readers down. I promise this post won't disappoint, despite it's lack of respect for the integrity of the almighty cupcake. The cake that I've chosen for Rita's birthday is going to use one of the cake recipes that I'm hoping to use for the next cupcakes. Added to that is my Strawberry Cake recipe from my Sweet & Sour Strawberry Cupcakes post. Ready for it? Strawberry Lemonade Birthday Cake! Yum-my! I'm so excited about this one. It's such a classic flavor combination. Pinterest addict that I am, I came across the Lemonade cake recipe on that fantastic site (Pinterest) and decided to use it here. So, the cake goes like this - 4 alternating layers, 2 each of Strawberry Cake (see link above) and Lemonade Cake, filled and iced with a light Lemon Cream Cheese Buttercream. I "messy iced" the cake (my favorite! 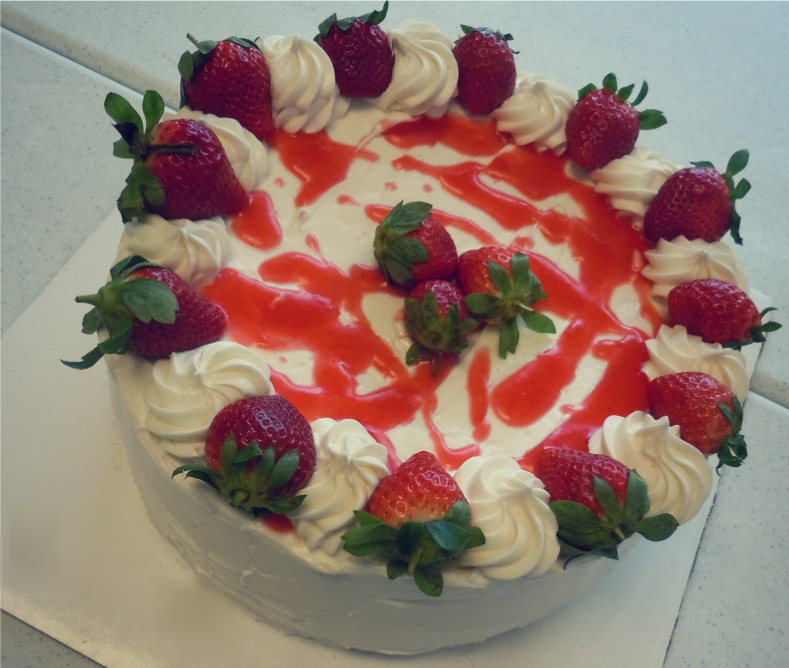 ), put a rosette/fresh strawberry border on top, and drizzled with a homemade Strawberry Lemonade Sauce that I threw together in a pot on the stove. For the cupcake fans out there you could very easily make this into a single-serving treat! I don't know how you "pour" your batter into the liners, but I use a large melon baller or small ice cream scoop and typically use 2 scoops per standard size cupcake. So, if I were making this as a cupcake, I would first drop 1 scoop of the strawberry batter followed by 1 scoop of the lemonade batter. They may move around a bit while baking but that just makes them a little more unique! :) Anyway, the whole point is to have fun while baking so you can mess around with it however you want! In a large bowl, cream butter, shortening, and cream cheese. Mix on high until fluffy. Add vanilla and lemon juice and blend. Add sugar a little at a time on low speed. Whip at high speed til fluffy. Combine strawberries, sugar, and lemon juice in pot over medium heat. Whisk water and cornstarch until cornstarch is dissolved, then add to pot. Bring to rolling boil, whisking occasionally. Remove from heat and run through a fine sieve. Let sauce cool completely before using on cake. Notes on the Lemonade Cake: I was *gasp* almost out of milk when I got home from work to bake this cake and didn't feel like going back out to the store. So, I used a mixture of 1/2 cup milk (all I had left), 1/4 cup water, and 1/2 cup lemon yogurt, whisked together until smooth. This cake is good but not exactly what I'm looking for in a lemon cake. I prefer lemon cake to be light and airy and this one, while tasting good, is a bit dense for me. It's possible that my messing with the called-for ingredients (my lack of enough milk) is what changed the texture. So, if any of you try this cake as-is and it comes out light, PLEASE let me know! The good thing is that this is what my blog is all about. Trying new ideas and recipes and seeing what works and what flops. Unfortunately for me, this means I'm back to the search for the perfect lemon cake recipe for my next post! The consensus at the office? YUM! Really, I've never seen my coworkers finish off that much cake in less time! These were huge pieces and almost every plate was cleaned! The birthday girl was extremely happy and the excitement that I mentioned before was there to see. :) So, overall, I'd say this was a successful foray into the unknown. Until next time, happy reading and, most importantly, happy cupcake-ing! Wow!! God is good to all of us! Thank you, Heather, from the birthday girl! You are more than welcome, Ms. Rita! It was my pleasure!! Hello Heather! I was thinking that it'll be just another strawberry cake recipe made. But I was wrong. 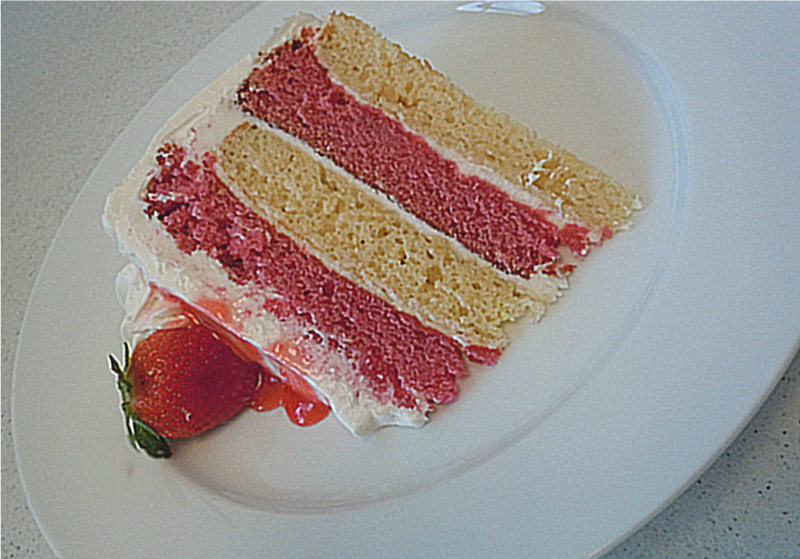 This is definitely one of the best strawberry cake recipe I've ever seen. I'll definitely make this at home. Thanks! I just got done baking this awesome cake! I am finishing up the sauce now. I had seen a strawberry lemonade cake in a magazine and decided to give it a try for my daughters birthday. I did a web search and by far liked yours the best. I started with your sweet and sour cupcakes for her class mates and they loved it. I made about 22 cupcakes and used the rest for her birthday cake. And it was so very well received there was none left. I had some problems with my cakes but I'm not sure that it was the recipe. I think it may have been my cake pans. I had a very hard time getting the cake out of the pan. They all broke. I'll fix them during the icing so no worries. Thank you very much for the recipe. My whole family loves it. And I'm sure it will be a hit at my daughters party. BTW the lemonade cake turned out good for me beside sticking to the pan. It is a bit on the dense side but I think it's a perfect compliment for the strawberry cake. I'm so glad to read this! When baking a cake, I always spray the pans with baking spray, line the bottom with parchment paper, and then spray the paper with the spray as well. That should take care of the breaking problem. I'm so glad you gave them a try and that you shared it here with me! :) Thank you! Had a strawberry lemonade cake this weekend at my nephew's wedding. It was fabulous! I can't wait to try and make this. I'll probably add some lemon zest to the frosting. Would love to know if you used fresh/frozen/sweetenedor unsweetened strawberries for cake. I have been looking for a strawberry cake that does not use jello as it's flavoring, can't wait to try it. own: http://www.blogger.com/comment.g?blogID=4406638560173967697&postID=8181279098951348199 is hard to do for unskilled people? Hey there! I've been following your website for a long time now and finally got the courage to go ahead and give you a shout out from Porter Tx! Just wanted to mention keep up the good job! 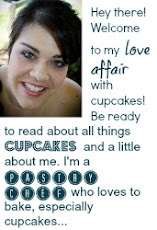 com with your title: Blogger: A Cupcake Love Affair and your URL: http://www. I hope this is okay with you, I'm trying to give your wonderful blog a bit more exposure. Be back shortly. Hola! I've been reading your blog for a long time now and finally got the bravery to go ahead and give you a shout out from Kingwood Texas! Just wanted to tell you keep up the fantastic work! both of our web sites are centered around the same topic. Cupcake Love Affair. Be sure to let me know at your earliest convenience. I'm really enjoying the theme/design of your site. Do you ever run into any internet browser compatibility issues? A couple of my blog visitors have complained about my website not working correctly in Explorer but looks great in Firefox. Do you have any solutions to help fix this issue? sure to e-mail me at: rhea_galvan@gmail.com. I'd love to get my hands on this template! Thank you. always believed it required tons of work. What do you think?